Qualified Dog Groomer & Stylist and member of the British Dog Groomers Assoc. I now provide a gentle and alternative way of handling your dog during their groom. No restraints, no muzzles or any such devices, just patience, play, positive encouragement and rewards. 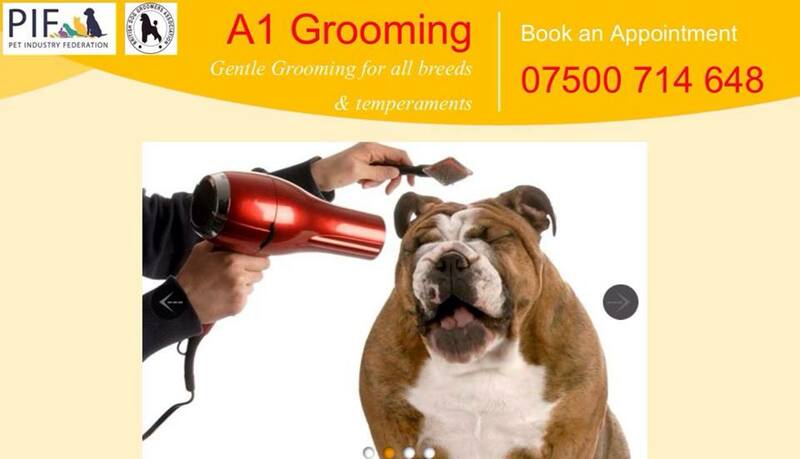 No rush or timescales for your dogs groom. Ideal for puppies to as part of their socialising and training, as well as the more excitable / aggressive personalities and the shy and nervous. Collection & delivery service is available - cost may be involved based on mileage. Currently covering clients within areas of Birmingham, South Birmingham, Black Country, Bromsgrove, Stourbridge, Hagley, and down to Tewkesbury!